It took me a minute to find it, the treasure that was off the beaten path in Odell. Odell is a small village south of Dwight along Old U.S. Route 66. Like Dwight, Odell is home to a fully restored house and canopy style gas station of an era when Route 66 meant a special kind of freedom. I absolutely loved this building, its shingled surface, contrasting blue and white paint and restored interior all brought the smell of petrol and burnt rubber wafting into my nostrils. 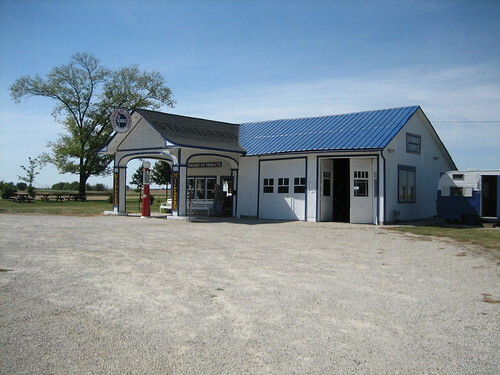 Odell’s Standard Oil Gasoline Station, a property listed on the National Register of Historic Places in 1997, is staffed by a group of knowledgeable volunteers, most likely locals, whose friendly demeanor added much enjoyment to the visit. The station, like the Texaco station in Dwight, is set up as a museum to a bygone era and visitors can stroll through, provided there is an “attendant” on duty. 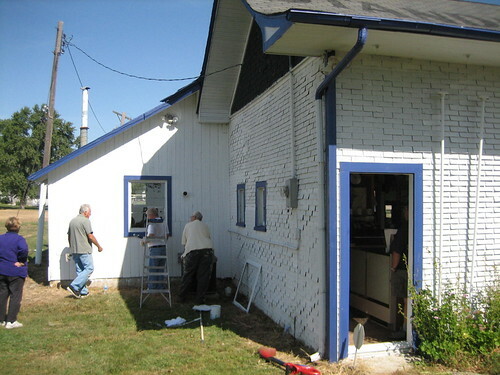 Such an old building is in need of constant tenderness and the volunteers were doing some maintenance when I arrived. Their work, and the shingled exterior are both clearly visible in the image below. The station is a product of the Great Depression, constructed in 1932. 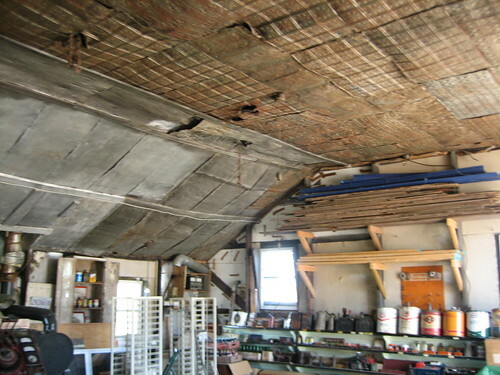 The interior of the building, especially in the service bay, contrastingly stands as both a silent witness to and an artifact of history. The cobbled together nature of the interior reflects the lowly economic state of common proprietors during the Depression, I have this on good authority from the the man in the gray shirt above; he looked like he knew what he was talking about. The friendly folks at the station went on to tell me that the restoration was based upon the earliest known photograph of the building, which I believe I was told dated to c. 1936. That photo can be seen here. The property stood dilapidated for a long time and by 1997 it was practically falling down. Today, the station is owned by the Village of Odell. Tomorrow we take a look at the road itself.